Why Would You Need A 6 Pin Automotive Electrical Connector? The electrical connectors are the devices that join electrical circuits. While most of the connectors are removable and temporary, some can be permanent. The connectors actually make the assembly and manufacture of electrical and electronic products much easier. They even make the circuits easy to repair and add flexibility to the design and modification of the product. The most common uses involve the circuits for communications, consumer electronics, automobiles, industrial machinery and computers. Before proceeding to understand the necessity of 6 pin automotive electrical connector it is essential to comprehend what electronic connectors are. What Are The Essential Parts Of A Connector? There are two main parts in a connector. They are: terminals and housing The terminal pins in the connector offer the electrical conduction necessary for the connection. These terminals would mostly be made from some metal. Sometimes other materials that conduct electricity can also be used, like silicon and carbon. The structure or case that holds the terminals is called the housing. It helps to stabilize the connection. It protects the contacts from getting short-circuits and other environmental hazards. The housing is generally made from some moulded plastic and can be made from an insulating material, like ceramics. What Are Automotive Electrical Connectors? The electrical systems have found wide use in the automobile designs. Modern cars are wired extensively and are controlled by microprocessors. This results in a growing need for reliable wiring and connectors. Most of the components within the system require connectors to form an interface. Among the different connectors used in a car, the 6 pin automotive electrical connector is a very useful one. Among these connectors there are non-insulated and insulated. Following are the points to help you to recognize these connectors. The insulated connectors are very common among mechanical connectors. These connectors are also available in different shapes and sizes. Vinyl or nylon insulation can be present on them and the insulation can be straight or flared at the ends. A connector that fits both the gauge and the insulation should be chosen for the job. What Is The 6 Pin Automotive Electrical Connector Used For? 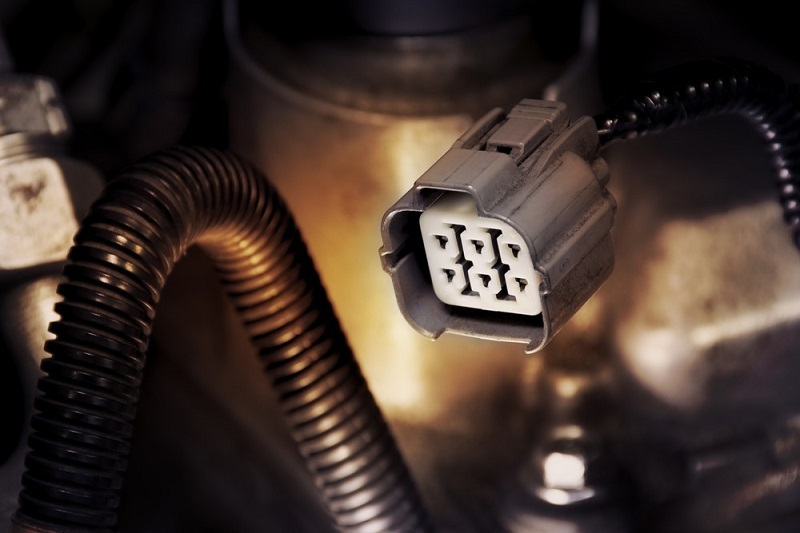 Electrical connectors in automobiles are primarily used in the on-board diagnostics tool or the diagnostic connection port of automobiles, motorcycles or trucks. The diagnostics serve as a scan tool with the control modules of the given vehicle and it helps to access the on-board diagnostics and the live data streams. The 6 pin automotive electrical connectors are among the best when it comes to reliability. Plugging it in is simple and connectors generally feature a fixed hook. The housing can vary depending on the male and female connectors. The connectors are also used for transmitting data through the on-board diagnostics tools on a modern vehicle.